The rise of China's tech companies and intense competition from the sector is just beginning. This will present an ongoing management and strategy challenge for companies for many years to come. 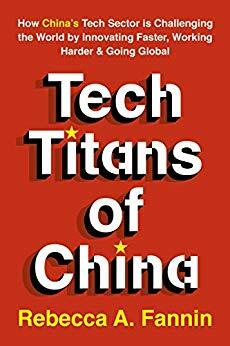 Tech Titans of China is the go-to-guide for companies (and those interested in competition from China) seeking to understand China's grand tech ambitions, who the players are, and what their strategy is. Tech Titans of China features detailed profiles of the Chinese tech companies making waves, the tech sectors that matter most in China's grab for super power status, and predictions for China's tech dominance in just 10 years. Silicon Asia builds upon the expertise that author and journalist Rebecca Fannin has gained from more than a decade covering entrepreneurship, technology and venture investment in Asia and Silicon Valley. Rebecca brings a deep understanding of the issues and trends in the world's innovation hubs to e-newsletters, events, public speaking, columns, consulting and research. Her book, Silicon Dragon, was favorably reviewed by The Wall Street Journal and Financial Times and translated into several languages. Her second book, Startup Asia, received endorsements from The Economist and Technology Review and was highlighted in a New York Times article. Startup Asia features interviews from more than 100 venture capitalists and entrepreneurs in China, India, Vietnam, Singapore, Hong Kong and Taiwan. The work is the result of nearly two years of research and travel in these markets. Rebecca started Silicon Asia in 2009, and has held events in Beijing, Shanghai, Hong Kong, New York City and Silicon Valley. Her events attract industry leaders as speakers and top businesses as sponsors. 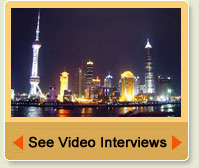 Silicon Asia newsletters reach 8,000 subscribers globally. For more information, see www.silicondragonventures.com. Rebecca also writes a widely read, weekly column for Forbes.com.